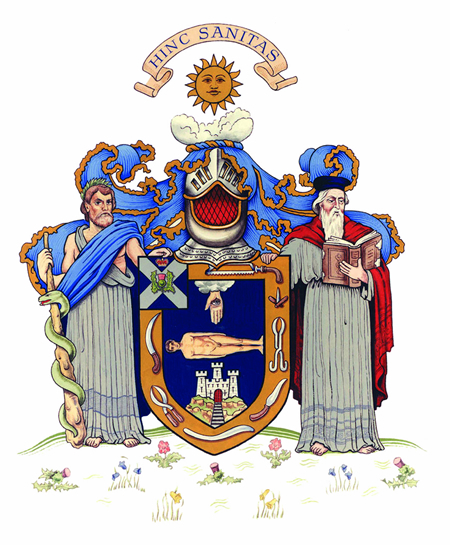 Not since those ghastly 19th Century killers Burke and Hare has Scotland’s premier medical establishment been associated with grisly profits from corpses, not that these days Edinburgh’s Royal College of Surgeons (RCSE) is engaged in any criminal activity, or paying body-snatchers to secure ‘dissection material’. However this august institution is attracting concern as a consequence of one of its Fellows, Professor, Huang Jiefu, Deputy Chief of China’s Central Health Care Committee, responsible for the health of the core leaders of the Party and the state. This individual is praised by some within the wider medical establishment for aiding a claimed moderation of China’s medical atrocities regarding organ extractions. The Professor had during 2014 issued some ambitious and misleading claims that China would establish a voluntary organ donation system conforming to international standards. According to Huang China would stop using organs from executed prisoners, an oblique assurance that no longer would countless numbers of political and death row prisoners face execution by having their organs ripped out of their bodies. Naturally the prospect of ending these harrowing atrocities was greatly welcomed by the international medical community. It was also greeted with an alarming degree of credulity, no doubt the standing of Huang Jiefu was seen as conveying authority. If he was issuing such statements it followed that China’s Regime was seriously committed to ending such harrowing violations. If only matters were that transparently simple, however academics, medical colleagues lined up to praise Huang, citing him as a champion of human rights, others were less convinced. Concerns however were brushed away by repeating, as fact, the claims so carefully promoted by Huang Jiefu. Nor has the medical community taken account of the reality that his remit within the Chinese government does not extend to having authority over transplant reform, nor has it ever been applied in his public role! However in the following twelve months the New York Times noted that under the new regime of supposedly not using organs from executed political or criminal prisoners, China’s organ supply showed no decrease! 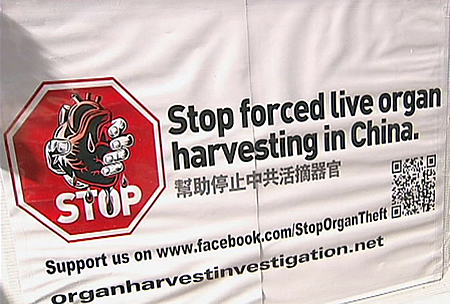 Clearly the claims made by Huang that China now operates a voluntary organ donation system need to be viewed with considerable skepticism, http://www.nytimes.com/2015/11/17/world/asia/china-bends-vow-using-prisoners-organs-for-transplants.html medical atrocities continue on an industrial sized scale, with the knowledge and authorization of the very regime of which Huang Jiefu is part. If you share our concern then please consider directly contacting the RCSE. On Monday, October 19 Chinese President, Xi Jinping lands in England on a state visit, as with his recent trip to the US it’s all about expanding and strengthening economic and political influence. An objective that western governments are desperate to comply with, their economies increasingly enmeshed, and dependent upon, trade with China. The biggest casualty in the drive to secure lucrative commercial relations has been foreign policy and the cynical and illusory promises of ‘positive engagement with China’, that we were assured would encourage and progress human rights, has been exposed as no more than political jargon. It was always a sleight-of-hand, engineered by the sharp suits at the State Department, who were already sold and bought on elevating trade above considerations of human rights. Successive Administrations promoted the concept, while an ever powerful China lobby oiled the wheels across the DC political scene. Money talks and sure as hell it screamed, and does so still to those seeing to profit from deals with China. No doubt a similar deception was foisted upon folks in the UK, their Foreign Office, with a long history of diplomacy in China has been equally active in appeasing China’s regime, and like their counterparts in 2201 C St Northwest, Washington DC, human rights issues receive platitudes, are ignored or marginalized. 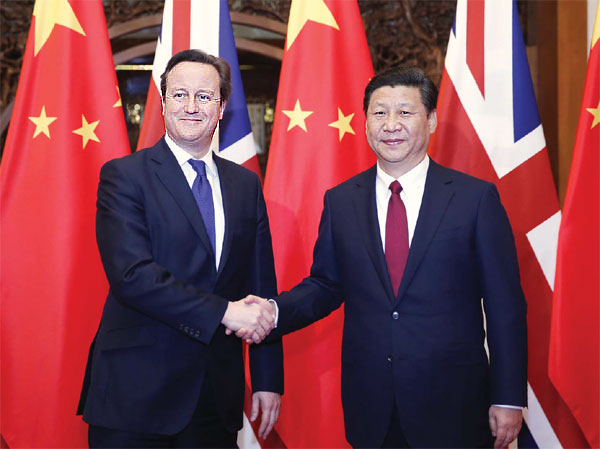 Such sensitive an issue cannot after all be allowed to disturb relations, and so there will be no mention during Xi Jinping’s discussions with the British government of Tibet, East Turkistan, far too dangerous subjects, that the Chinese regime has insisted are not open for debate. 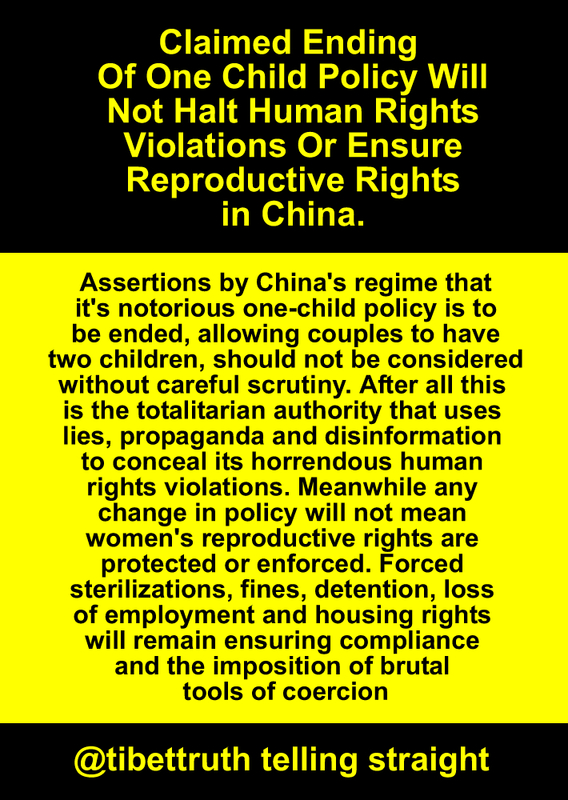 Nor will a word be raised against the horrors of China’s coercive birth-control program, that has targeted women with forced-sterilizations, fines, detention, removal of housing rights and other penalties. Indeed while the Congressional Executive Commission On China has featured this issue in its 2015 report the UK Foreign Office has chosen complete silence on the subject. So much for an ethical foreign policy! Meanwhile Tibetans and their supporters will no doubt be planning various protests during Xi Jinping’s visit, power to them, it would be naive though for anyone to expect that the British authorities will be championing the cause of Tibet, even their meager offerings on human rights simply cannot be trusted. After all how can their assurances be believed when on record they choose to ignore the harrowing medical atrocities inflicted upon women across China and occupied territories such as Tibet and East Turkistan!